Grief and Bereavement forum groups • View topic - Topic :Are you moving forward? Post subject: Topic :Are you moving forward? I thought I would post this as our topic of discussion today. We have to make the choice whether we are going to live in the past, stuck in the same place and time, or do we want to move forward and live for our loved ones that are still here with us? Are you still in the same place you were? What are some ways you've helped your self live again? I'll get this started. I do believe I have moved forward some. I know that I am no where close to the place I was in a few months ago. I made the choice to live for my children and my grandchildren because I always have to remember they need me too. I want to make special memories for them. Just like the ones I have with my boys. I attend all the ball games plays and school functions. I want to plan a special trip or outing with my family. I have to live for them and for God,for one day I want to be with my boys again and one by one we will all be reuninted.What a great day that will be! I write about my feelings, which helps to release the anger inside that holds me back. Mostly I talk about Michael and Scott alot. It makes feel a sense of peace within. I know if Michael could say one thing to me it would be "Mom laugh and enjoy your life, I will always be right there beside you with each passing day. One day we will be together again soon,but for now Smile for me" My peace comes from knowing my boys are in heaven shining down brightly on me. Have you moved forward? 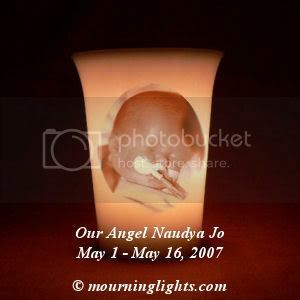 In some ways I believe so there is nothing I can do to bring my Naudya Jo back, I can't bear the thought that I may have moved forward because I will NEVER forget my baby. Or maybe I just take it one day at a time and see what happens. My son needs me, our unborn baby needs me and is going to need me more when s/he is born. Are you still in the same place you were? I just live day by day. I don't know what tomorrow it going to bring, I don't know what this month is going to bring. Actually, I am doing good IF I can tell you what yesterday brought. What are some ways you've helped your self live again? Again, living day by day. knowing my daughter is OK she is in a wonderful place. She is being taken care of and helping take care of any new angel that arrive in heaven. She was a fighter and I believe she continued doing so when she got to heaven. I cant move forward... i dont want to move forward, there is no light in my life without my son, im sad, miserable without him... i know he has gone but i dont want to believe it. Barbara, first, I thank you so much for putting these questions and topics back on the board, HUGS! Have you moved forward? I don't think "moving forward" is the way I would describe "living" after the loss of a child. I am living because I have to for my other children, my husband, and for myself, but that doesn't necessarily mean I am moving forward from the loss of my son...just adapting to the life of a grieving parent and the mother of a son who lives in heaven instead of with me physically. Are you still in the same place you were? No I am not, THANK GOD! Directly following the accident I didn't know how to live as a mother of a son who resides with Jesus and not with me... I TRY not to look at my life as living without him, but living my life as a mother of a child LIVING in heaven. What are some ways you've helped your self live again? Knowing and understanding that my son is still alive...in fact, he is more alive now than he was when he was here with me. When he came face to face with Jesus, there was no going back, even if given the choice. I know I wouldn't want to come back here, especially while in pain, which would have been Garion's only option after such an accident. But that doesn't mean that not having him physically here with me isn't hard and extremely painful most of the time. Right now I am in a place and have surrounded myself with people who are and have always been special to not only me but also to Garion. I have surrounded my other children with happy memories of Garion and hopefullly with happy memories of their own childhhood outside of that dreadful day. I tell people that I am a work in progress, and always will be. At least I know that when I do fall to my knees God, my family, and my friends still love me. ARE YOU MOVING FORWARD? - Well I am trying to move forward even though it is very hard..I'm still very new to this life and I have always been the type of person that doesn't like change..But I had no choice with this one... I'm going through this day by day that's all I can do right now.. I am new to this forum. 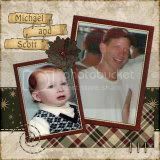 I lost my son to murder on Sept 15,2007. I went for a period of four days and could not cry. I thought something was wrong with me. Than last night the dam broke. I am hurting so bad right now. I am still in the initial stages of grieving and feel that I cannot go forward right now. Actually my counselor told me that I am running away from it. I still cannot wrap my mind around this. For the rest of my life I will never understand this. I know I will never get an answer for "why". I think this forum is a good place for me to be. I'll tell you what happened. On September 14, 2007 my son and his new girlfriend of 31/2 weeks went to a bull roast with my daughter and son in law. They only stayed for a few hours. They left, went back to her house. A few hours later her ex-boyfriend broke into her house, went upstairs, came into the bedroom and shot my son in the head. This girl had told me that she had nothing to do with her ex for two years. I have found out that is not true. 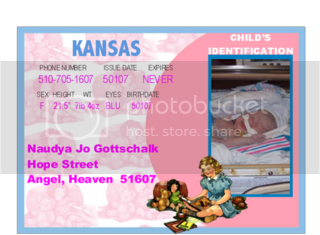 I did not want her at the funeral home to see my son and her mother called and told some kind of story and they let her see my son when I had not even seen my son yet. I am in so much pain right now as the shock of it is starting to wear off. I want my son back so bad. My son is 28, never been married, no children. It took me 10 years to get pregnant with him, and to have his life snuffed out in a second is beyond my comprehension. I know that I will forever grieve for my son. I know that I will always miss my son. My son was everything to me. He was my best friend. All his life he could come to me with a problem or just talk. This is the one thing I cannot help him with. I cannot bring him back. I would lay down my life to have him here. I do not know how long ago you lost your child. It seems like yesterday to me when I think about it. No I am not moving forward I think I may be moving backward but it seems I don't know much these days and nothing is going right so maybe I'm wrong. I'm either in the same place (total denial) or worse. The only reason I care that I'm breathing is my other children. I don't even wanna get out of bed....ever....I hate life. Post subject: Re: Topic :Are you moving forward? No, I am moving forward! I have really bad days and I have good days. I am getting better...my perspective is improving. The main thing is realizing that no matter how I feel life continues. The world and everyone in it will continue their daily routines no matter how I am. I can lay in bed and hide but it won't change the fact that Laura is dead and I feel like crap. I have slowly come back to the things that used to interest me (and Laura...she always tried to be just like me!!) I feel that although Laura is dead physically, my love for her keeps her alive in my heart and soul. Things that make me happy make her happy as well. She loved to laugh and always had a smile. I have started back with my bellydance classes. She wanted to take lessons with me before she was killed and it was so hard for me to continue class. All I could think about was how she couldn't take the classes with me anymore and so I quit. (Basically I quit everything that I enjoyed)After months of just doing what I had to do to take care of my family and my basic needs and reading ALOT of books and articles, arguing with myself, and pondering what is the best action for me to take I came to the realization that life goes on. I began to miss living. I missed enjoying things that I enjoyed before. I also came to the idea that Laura lives in me. I told that to my son lots of times during our conversations about Laura and death. He accepted it rather quickly (thankful for that) but for some reason I didn't get it until later. Also knowing the type of person Laura was, she'd be ticked with me for letting myself get so down about everything. So now I am back in class and I am enjoying it tremendously. I am taking my time with things still, but I am getting more active with my holistic hobbies, jewelry making, etc. For some reason though my main thing is bellydance...it has been so healing for me. I have a shirt that I bought Laura not too long before she died (she did get to wear it once) that she loved. I am planning to make it into a hip scarf to use with one of my costumes. Just the idea of using something of hers for something that we both enjoy it calming and healing. Doing little things has been adding up and helping out alot. (for me anyway). Taking small steps and realizing that its ok for me to live my life to the fullest and enjoy all that I can while I can has helped.